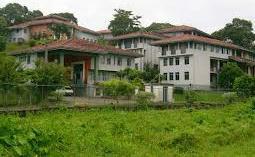 13 students of Labuduwa Institute of Advanced Technical Education were admitted to the Karapitiya Hospital following a clash between students of two faculties yesterday morning. Some of the students sustained head injuries. Police spokesman Superintendent Buddhika Siriwardane told that the clash had erupted when the engineering students took over a lecture hall meant for management students around 9.00 a.m. He said the students had even used clubs to attack each other following an argument. Asked whether any student had been arrested, the Police spokesman said that the Akmeemana Police were recording statements from the students admitted to hospital and others.